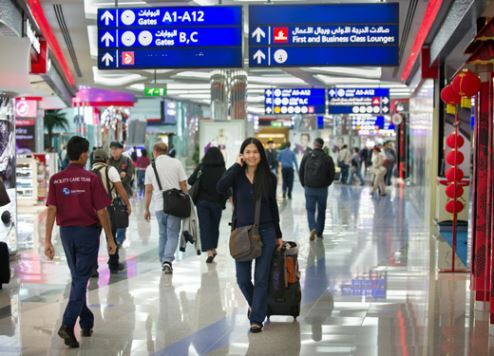 Passenger traffic at Dubai International (DXB) continued to grow steadily in February, rising 8.8 percent to 6,948,157, according to the monthly traffic report issued by Dubai Airports. The operator said this brings the total year-to-date passenger traffic at DXB to 14,985,165, a rise of 9.3 percent compared to 13,711,181 recorded during the first two months of 2016. Eastern Europe was the fastest expanding market in terms of percentage growth (39.1 per cent), followed by Asia (23.8 per cent) and South America (11.6 per cent). India remained the top destination country in February with a total of 937,962 passengers, followed by the UK (516,611 passengers), Saudi Arabia (499,797) and Pakistan (351,477). London topped the list of destination cities with 309,768 passengers, followed by Doha (246,767 passengers), Bangkok (203,432) and Mumbai (194,108). The average number of passengers per flight movement during February reached 223 compared to 201 during the corresponding month in 2016, an increase of 11.1 percent. “This robust growth in passenger numbers in February follows the record 8 million passengers in January, and with the seasonal rush of passengers over the spring break, during which we welcomed more than 1.1 million passengers, we are looking forward to impressive Q1 results,” said Dubai Airports CEO Paul Griffiths. January throughput reached an all-time monthly high of 8 million passengers in January, up 9.7 percent from 7.3 million in January 2016. This follows DXB’s best-ever performance in 2016 with the airport welcoming 83.6 million passengers.